Documents obtained by CNN outline a plan to eliminate TSA security screenings at more than 150 small and medium sized airports that mostly service planes with 60 seats or fewer. TSA currently screens passengers at over 440 U.S. airports. What's the argument for reducing this number, by eliminating screenings at 15 airports? Attacks with smaller aircraft aren't as appealing to terrorists, because the damage they can do is smaller than what's possible with larger aircraft like the ones used in the September 11, 2001 terror attacks. 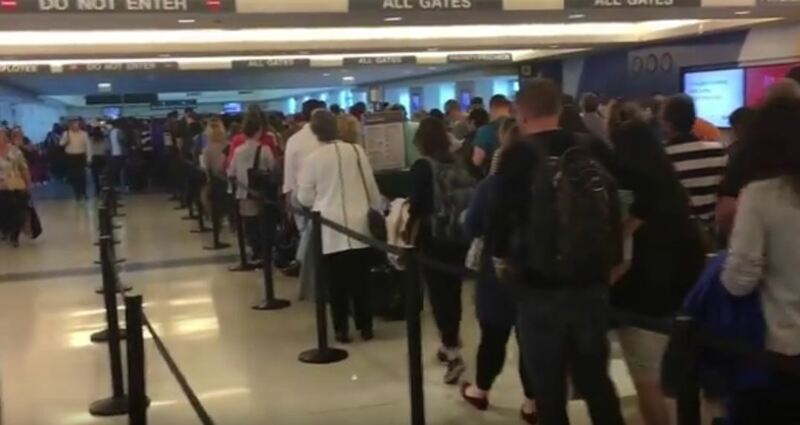 TSA says they consider changing the rules every year, but 2 senior officials who spoke to CNN say this is more than the annual exercise spokespersons are telling reporters. Experts say the TSA's plan as described doesn't reduce the risk of a successful terror attack, but rather elevates it. Resistance to the proposal from airline worker unions is expected, as are complaints from other sectors. "This is not a new issue," he said via email. "The regulations which established TSA does not require screening below a certain level, so every year is 'the year' that TSA will reconsider screening." Bilello did not respond to a request for the text of the regulations. The two TSA senior officials said the level of activity around the proposal this year -- the formation of a working group to conduct a risk and cost analysis -- mean this is more than an annual exercise. The documents said a TSA working group of 20 people, including a representative of the agency's administrator's office, met on June 21 to examine the potential risks of the policy change. An internal TSA memo dated July 17 from TSA Director of Enterprise Performance and Risk Strategy Jerry Booker to the TSA administrator's chief of staff, Ha Nguyen McNeill, outlines the group's findings. It contains no formal recommendation.